The streets of the Pete wears a festive look. 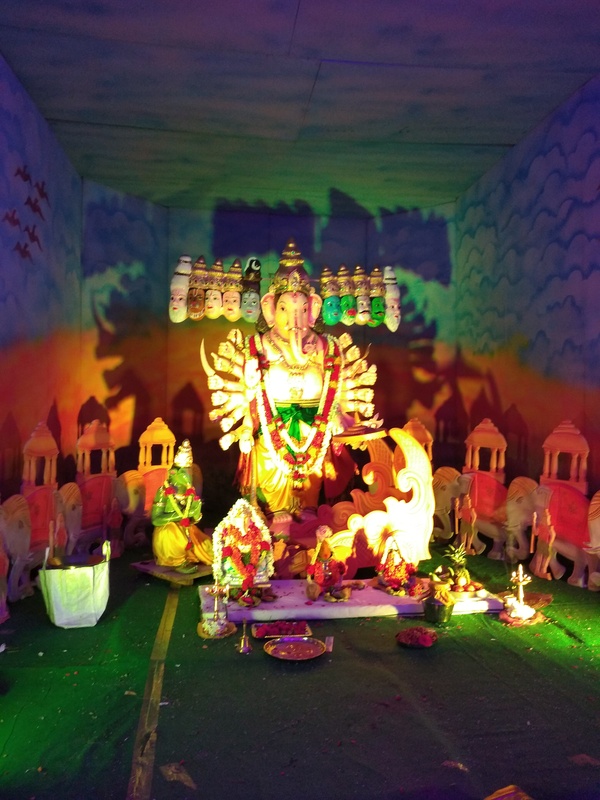 Colourful pandals are seen in the narrow lanes of Cubbonpete, Chikpete, RT street etc. and in the main roads of Avenue Road and OTC Road. The 500 year old Pete is always bustling with energy and even more so during the festivities. 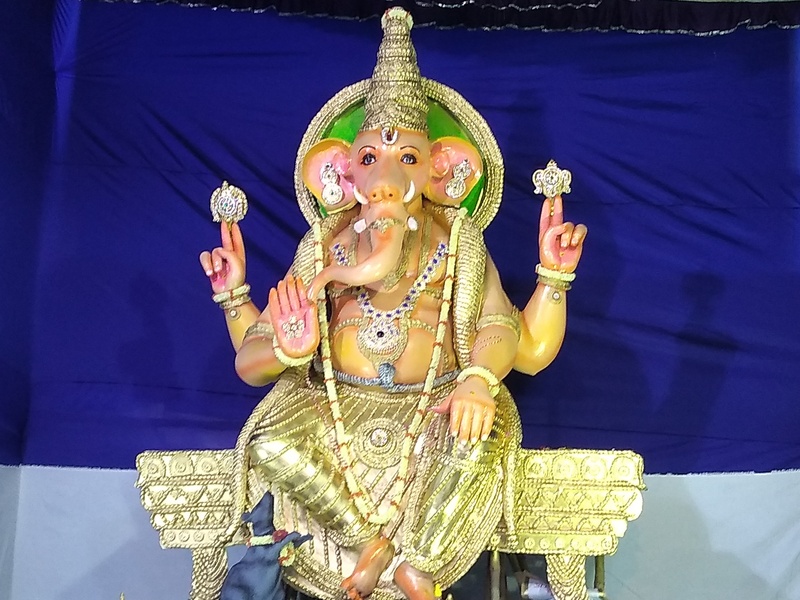 This Ganesh Chaturthi – the elephant headed God is in various forms at the Pete. 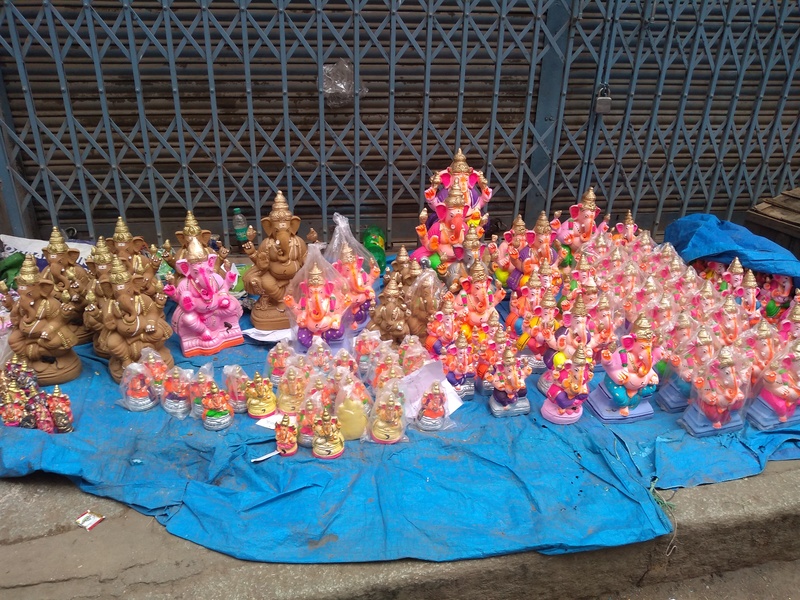 At the weaving lanes of Cubbon Pete he shows off an all pervading self as Vishwa Roopa Ganapati, in a narrow bylane of Avenue Road he is as Sai Baba, in some he is immersed playing musical instruments. The numerous groups at Pete- the Vinayaka group, Vidya Ganesh group, Ganesh group etc. have competed with each other to give their best. Some of the pandals are basic with excited children performing the aarati and distributing kesari bath while some are opulent with huge idols of Ganesh and engaging the services of priests to perform the religious ceremonies. Decorative lights, music and loudspeakers are found in most of the pandals. The shutters of most of the shops are down. 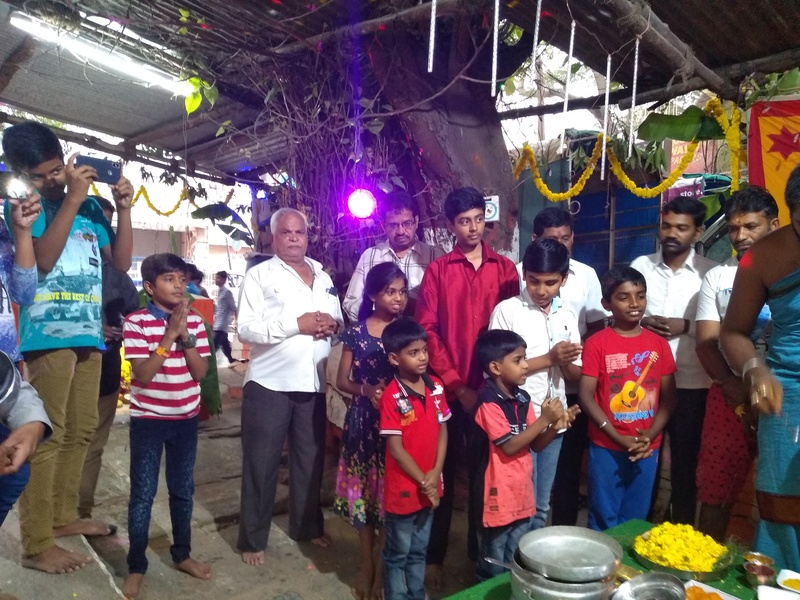 Most of the trading communities- Gujaratis,Marwaris,Devangas families are busy at the pandal ,participating in Chaturthi festivities full of vigour, immersed in prayers and distributing sweets. The streets of Pete is full of temples for various communities. So there is an air of celebration in every street. 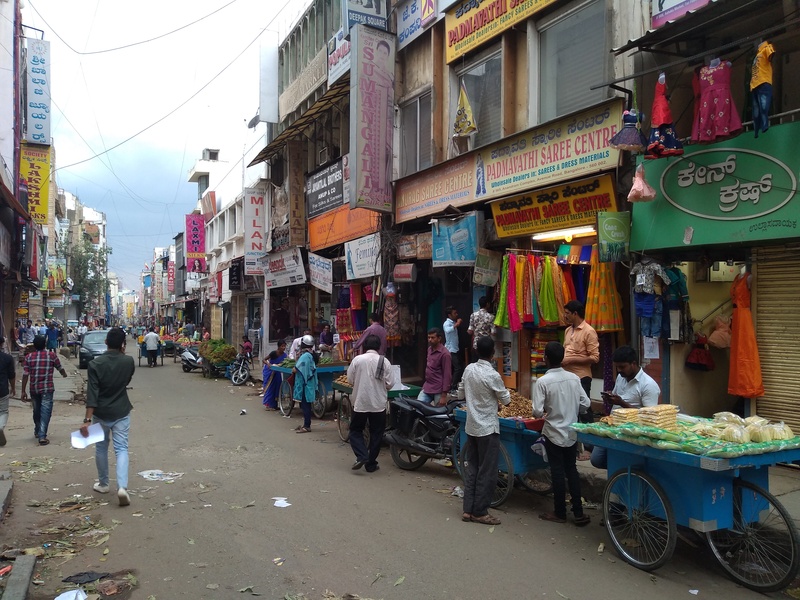 The sweetmeat shops and the flower markets are making brisk business amidst the gaiety. The celebrations will continue till the weekend and will then be taken out in processions to be immersed in designated venues. Join us this weekend as we show you this side of Pete.